Have you struggled to get visitors to your site to do what you want? Maybe you want them to sign up for your newsletter, or get a demo of your product, but they never make it to that page? 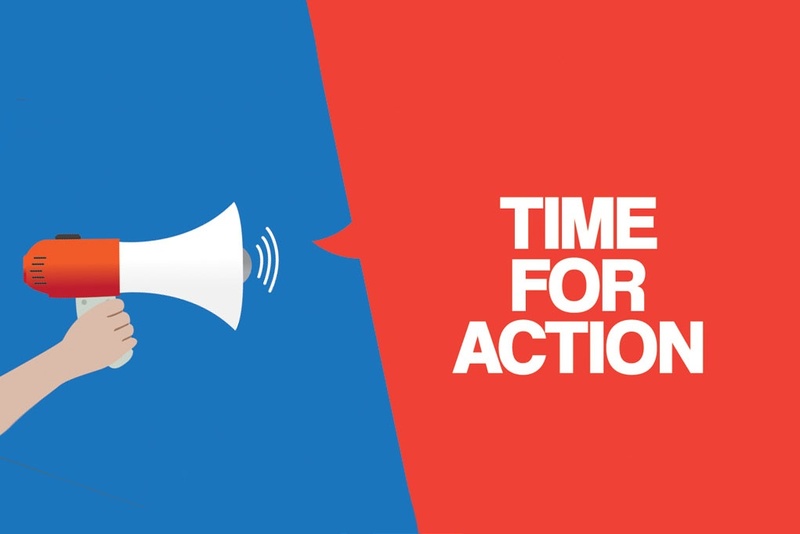 It may be time to revisit your calls-to-action. These 15 call-to-action examples will show you how to really generate leads. A call-to-action (CTA) is a button or link that you add to your website in order to guide your visitor and tell them what to do next. In inbound marketing, they usually lead to a landing page where the visitor can fill out a form and become a lead. You can place a CTA anywhere on your site, but it’s important to do it right. You want your CTA to grab the attention of your visitors and really entice them to click. Show your visitors an offer that they can’t refuse. Not only does it have to be visually appealing, but the content has to persuasive as well. In order to ensure your calls-to-action generate leads, you also need to remember the buyer's journey. If the call-to-action you’re adding to your site doesn’t fulfill the need of your visitor at the specific point in their journey, it’s not going to resonate with them, and they’re not likely to move forward. Then, use these 15 call-to-action examples to inspire your next design. Netflix uses persuasive text to guide you to their free trial. They let you know how convenient their product is with the ability to watch anywhere as well as the ability to cancel if you’re not satisfied. WordStream uses contrasting colors with their CTA to make it stand out against the all-blue site. They also reiterate the fact that their product is free to use twice further enticing you to try it out. Hotjar’s homepage features two calls-to-action leading you to the same place. Both CTAs are easy to find with placement and color. HubSpot uses simple persuasive content alongside relatable images of fellow salespeople to get you to try their sales tools. Showing relevant images behind the CTA helps people visualize themselves using the product and in turn, make clicking through more appealing. HubSpot also makes sure to use friction-free text on their button making it inviting to get started with their program. Campaign Monitor makes their call-to-action stand out against the moving background with a bold, contrasting the button color. They also let you know that help is only one click away, including a contact sales button should any questions or concerns arise. Want to make your CTA really simple to use? Add a form fill right next to your CTA so your visitor doesn’t even need to leave the page! Kissmetrics does a great job of that here. Spotify has taken an interesting approach to their CTA design. They feature two competing CTAs -- one leading to Spotify Free and the other to the paid version. Spotify wants to make it clear people can pay for their service (their overall goal), but knows they ultimately get more paying customers after they’ve tried their freemium. That’s why that CTA is more prominently displayed on the page. Trello makes their persuasive copy and button text stand out against their all blue background by featuring strong contrasting colors and keeping the page simple. There’s nothing to distract you from what they want you to do next -- sign up for free. When you offer two services like Lyft does it’s important to get both messages across without detracted from one another. The different text on each button (“Sign Up Now” and “Drive With Lyft”) shows the visitor exactly what step they should be taking next. Lyft also uses a bright pink button to draw the eye directly to their calls-to-action, making them hard to avoid. Join.Me makes it easy for you to immediately start using their product with their button text. Nothing is worse than being at working and waiting what seems like hours for a meeting to start. Join.Me’s text understands this pain, making the idea of starting the meeting right now that much more enticing. Paired with the bright orange color and this CTA is built to be highly effective. Pop-up CTAs are a more in-your-face way to get visitors to convert. They normally lead to newsletter sign-ups, downloads, or blog subscribe forms like IKEA does here. The retail giant highlights their brand colors while letting you know exactly what you’ll be getting by filling in your information. theSkimm lets you know exactly what they offer in their pop-up CTA. They also feature strong social proof, encouraging people to join by showing how many people already have and creating a sense of belonging. COOLS really focuses on the visuals with their CTA here. The graphic of the well-dressed couple in the middle of the city and suggestive, “GET IT” text grabs your attention right away. Ugmonk features an exit-intent popup as the user goes to leave the site. This is usually a company's last chance to get you to stay and make that purchase, so it better be a compelling offer! In this example, Ugmonk gives you the option for a 10% off coupon that’s only valid for a certain amount of time really creating that sense of urgency. Another unique aspect of this CTA is the making the user actively choose “Yes” or “No.” By giving the visitor the option to say no it forces them to think twice as to whether or not they really want to let this deal go. Obviously, Ugmonk wants you to choose the “Yes” option and they show this with the blue color association in the text and the “Yes Please” button. Influenster’s CTA is the most unique out of the bunch. These companies all use call-to-action that follow best practices and generate leads for their business. There's no overstating the importance of featuring a powerful call-to-action on each page of your site.